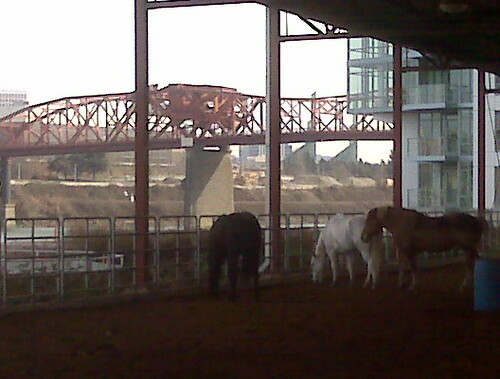 Horses with Steel bridge and convention center, originally uploaded by mikevogel. Is this for the police stables? Yes, it is for the police mounted patrol. You can’t tell from these photos, but all the horses have weird haircuts. That’s the Broadway bridge, the Steel is the black one that MAX rolls across.